I worked for over twenty years helping people with all manner of problems in the Samaritan Movement. I was Director of my local branch, served on the National Executive for six years and became Vice-Chairman of the organisation. Throughout however I remained an active telephone volunteer talking to people about the problems that were overwhelming their lives: stress, worry, fears, phobia and depression. This long experience gave me a great depth of knowledge of the infinite variety of the human condition with all its anguish and anxiety, its emotional and physical difficulties, problems and suffering but also of its tremendous ability to triumph over adversity. Although telling their problems to a sympathetic listener can be of help for many people, I felt the need to give more practical help. I knew that sound medical research had established that hypnotherapy and what is called neuro-linguistic programming (NLP) could at last give real and effective help to those people with problems, both small and large, that I knew were limiting and debilitating their lives. So after completing my term on the Samaritan Executive, I undertook a thorough training in Ericksonian Hypnotherapy and Neuro-Linguistic Programming (NLP) at the British Ethical School of Therapies, with a diploma in Advanced Hypnosis and Stress Management. 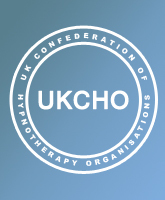 I am a qualified Master Practioner and Member of the British Institute of Hypnotherapy which ensures that my work is of the highest standard and I am registered with the National Health Service. The medical profession can help with major psychiatric problems, but where else can anyone turn for real help with fears, shyness, confidence, anxiety and all the myriad social difficulties which are described elsewhere on these pages, other than to the practitioners of this profession? My Hypnotherapy Clinic has been increasingly successful since it was founded fifteen years ago, as I have added the invaluable dimension of experience to my formal qualifications and many of my clients recommend their partners or friends to come to me. Phone me or email me today and make your tomorrow better than yesterday. Jean Mann is registered with the Complementary and Natural Health care Council (CNHC) established with government support to regulate hypnotherapy. The Department of Health recommends that you consult with someone who is CNHC registered. Jean is a member of the British Instituteof Hypnotherapy and NLP (BIH) and has been since 1998.